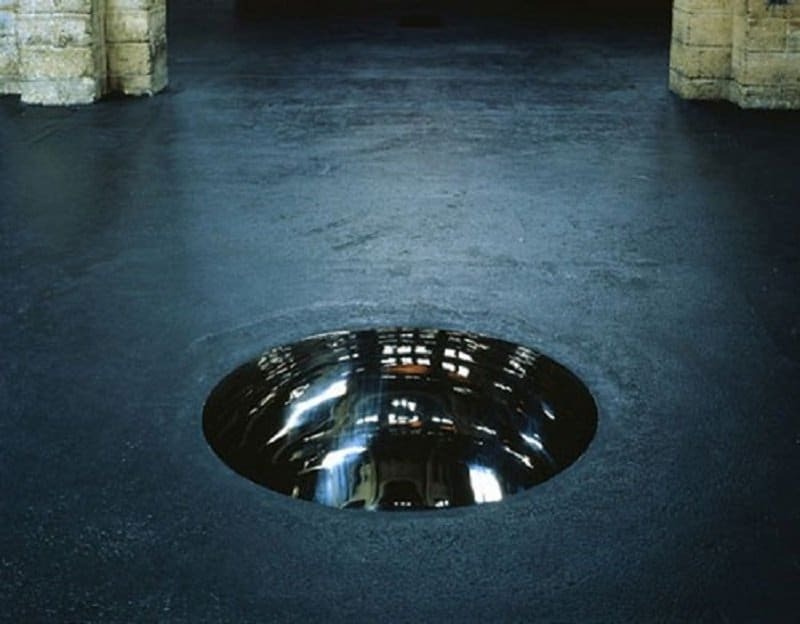 The beauty of modern day artists lies in their ability to convert seemingly mundane and ordinary things into works of art. 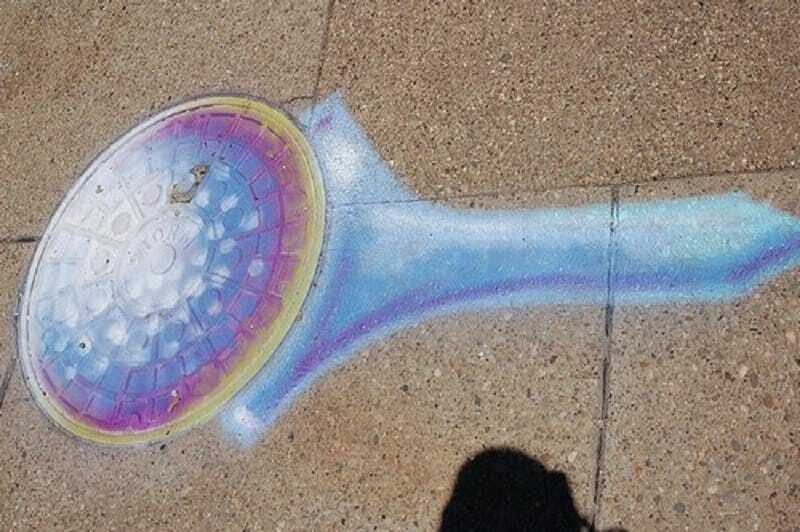 Street artists are always on the lookout for everyday elements that can be used in a creative manner. 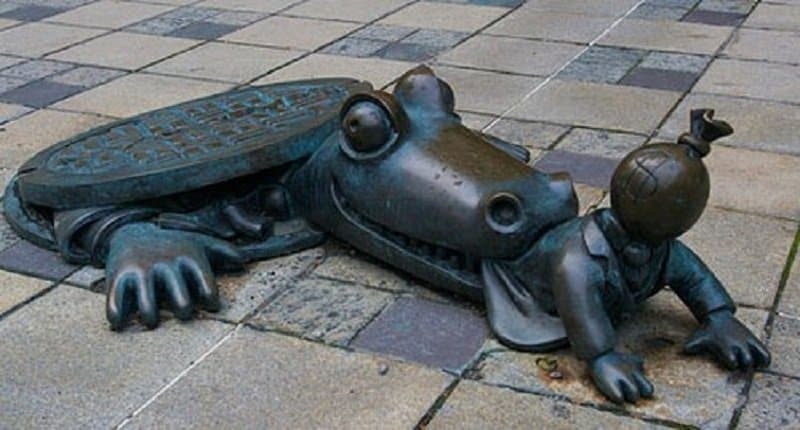 It appears as if people have begun to focus on manhole covers now in an attempt to create some interesting works. 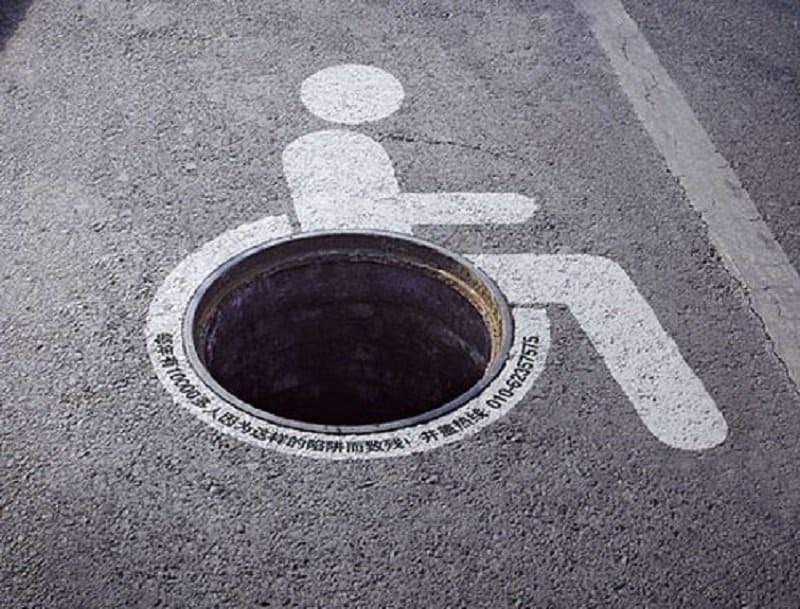 This list features 10 of the most funny and creative manhole covers that have been converted into great pieces of street art. 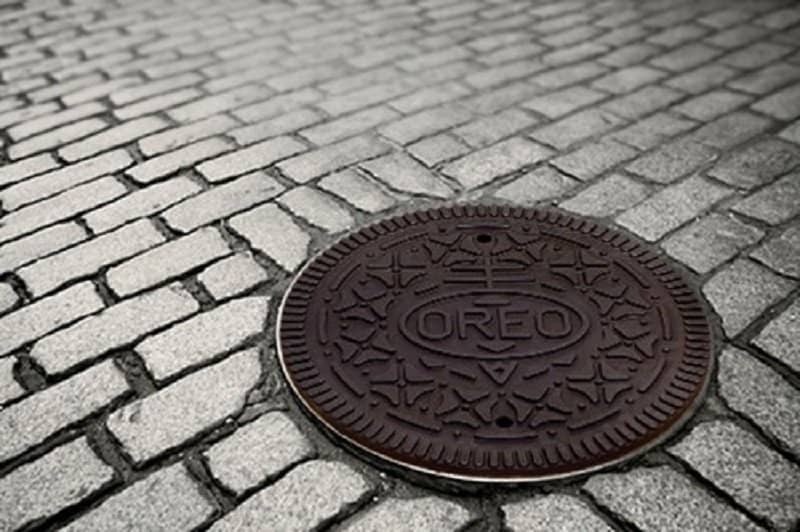 Don’t you just want to flip that giant Oreo and go at the yummy vanilla icing underneath. 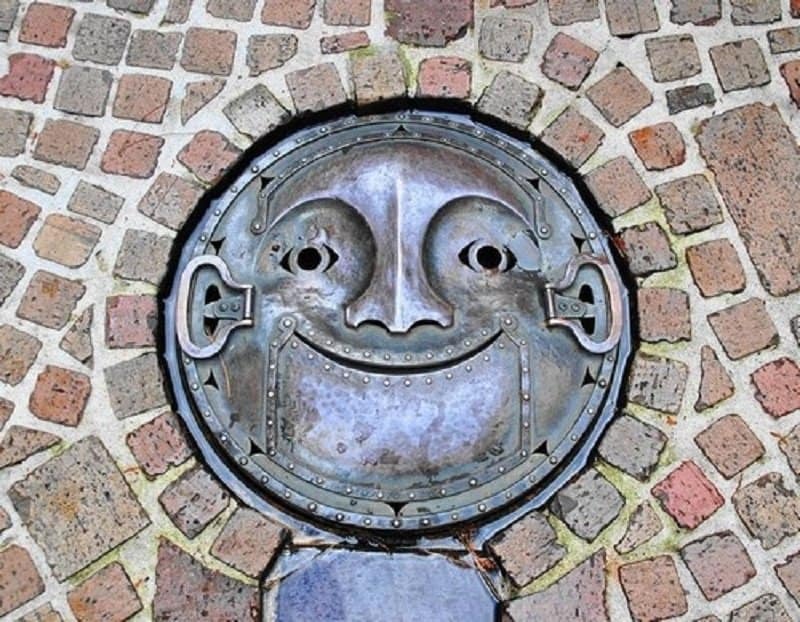 This robot doesn’t seem to mind that his face has been converted into a manhole cover. This moving piece brings to light the issue of millions of prisoners being held captive inhumanely for their beliefs. A smart piece dedicated to the handi-capable people in the world. 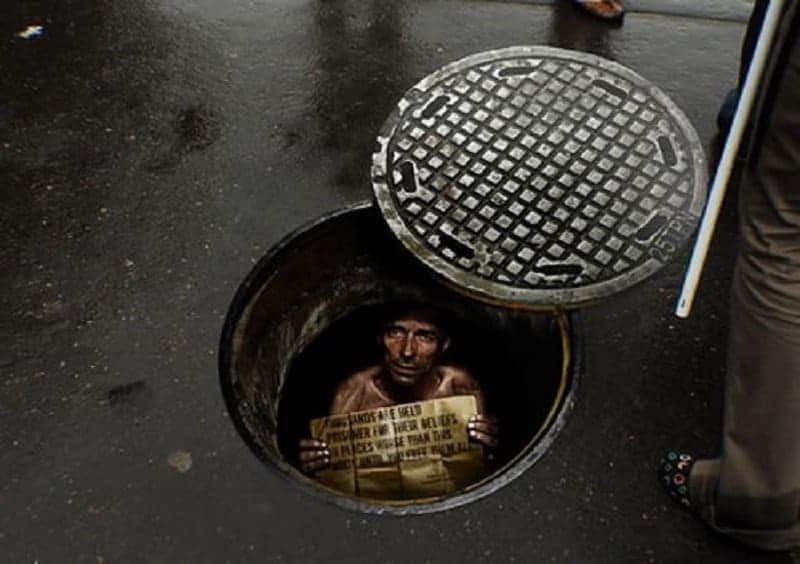 If you are a money-minded person, stay away from the gutters. Crocodiles clearly hate greedy people. 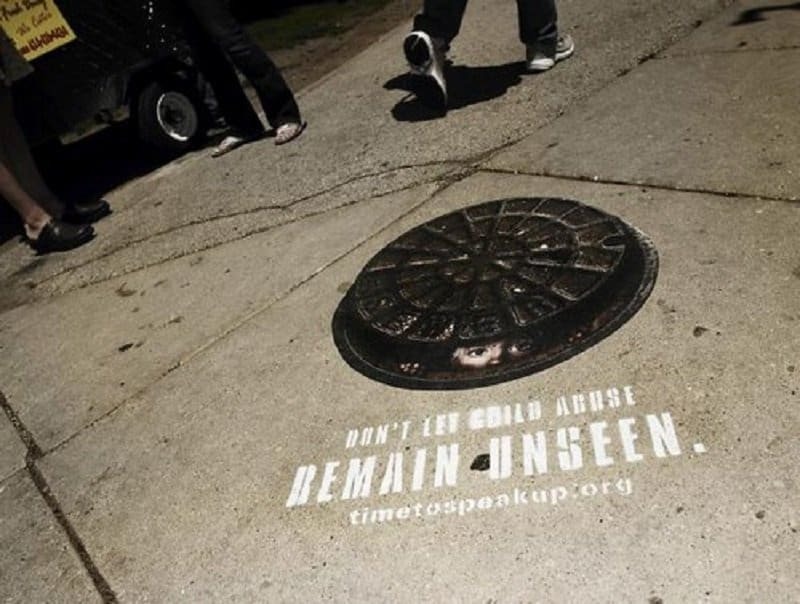 A moving piece of work that focuses on the important issue of child abuse. A brilliant spaceship makes an appearance on the streets of a city. It appears as if something mighty interesting is happening in the floor under this manhole. 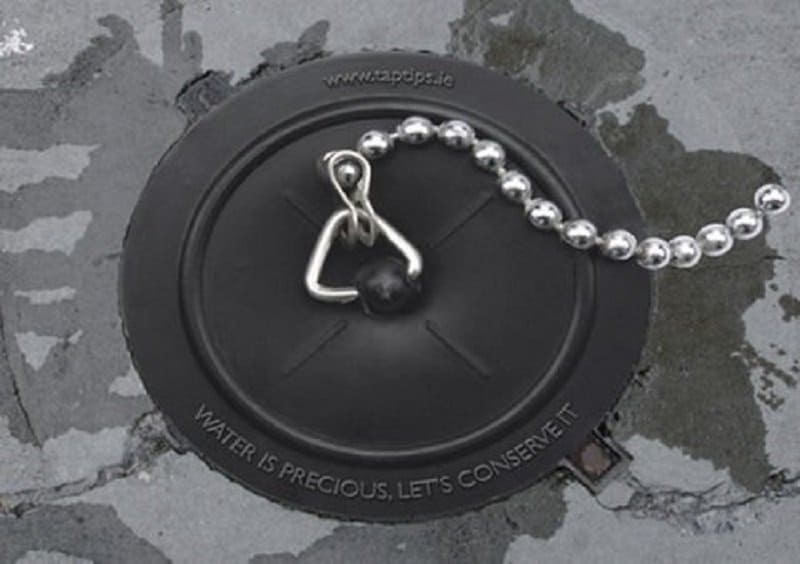 A relevant piece drawing attention to the issue of water conservation. With droughts striking most parts of the world, conserving water has now become more important than ever. 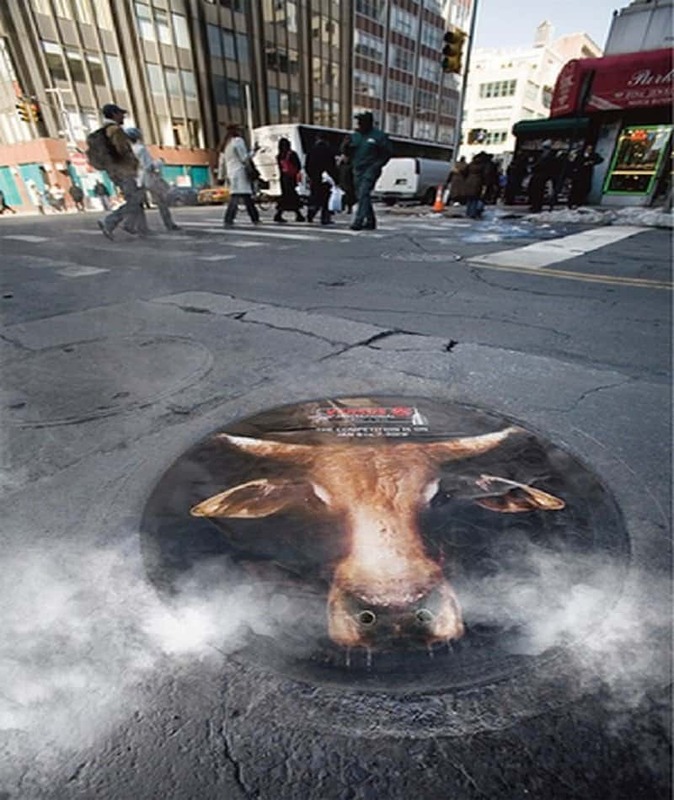 This piece smartly uses the steam from the manhole to make the bull seem extremely realistic.